The Grandstream GXV32xx is a series of business IP phones that you can use with your Telzio phone system. In this article you’ll learn how to configure a Grandstream GXV32xx to use with Telzio. If you’re using an IP phone that was used with another provider, you should do a factory reset on the phone first. This setup guide pertains to the Grandstream GXV3240 and GXV3275 models. 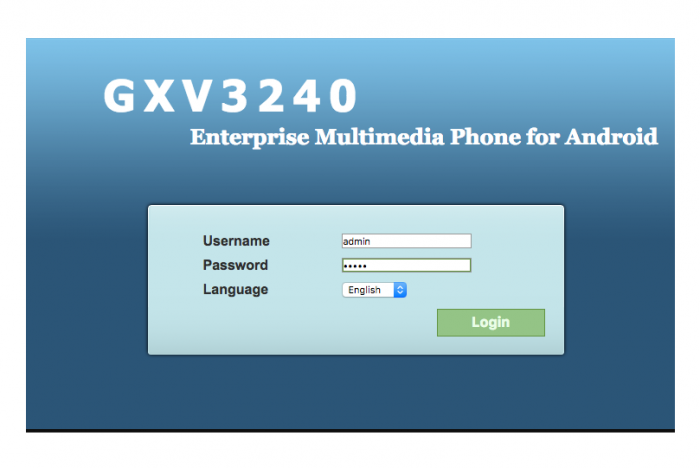 You can connect the GXV32xx phones via an ethernet cable or wifi connection. We recommend that you upgrade the firmware on the phone periodically to make sure you have all the latest features. Updating the firmware is not required to get started. When you first boot up your phone, you’ll see the phone’s IP address displayed on the LCD.If you don’t see the IP address, the phone likely does not have internet connectivity. Make sure the ethernet cable is connected to your router and the LAN port in the back of the phone. The Grandstream GXP3240 for example, supports up to 6 user accounts, which means you can configure up to 6 different users on your phone. When you first log in to the phone’s interface, you’ll land on the general settings page for Account 1. We’ll start with configuring one user, and you can repeat the steps to configure additional users for Accounts 2 through 6. Account Name Enter the name as you want displayed on the phone. SIP User ID Enter the username. SIP Authentication ID Repeat the username. SIP Authentication Password Enter the password for the user. This enables you to press the message icon on the phone to access voicemail. Name Enter the name as you want displayed for caller ID. When you’re finished adding the user details, click Save. Navigate to Network Settings in the left panel. Set NAT Traversal to Auto. Click Save.Upgrade the firmware on the phone. 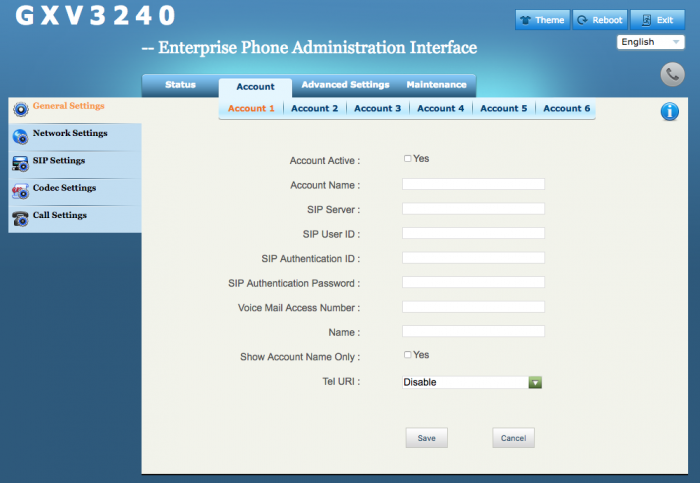 Navigate to Account – Account 1 – SIP Settings. Navigate to Account – Account 1 – Call Settings. Set Auto Answer to Enable Intercom/Paging. BLF keys, or Multi-Purpose Keys (MPK), enable you to see when other users in your organization are currently on a call. Navigate to Advanced Settings – MPK EXT1 Settings. Click on Add New MPK. 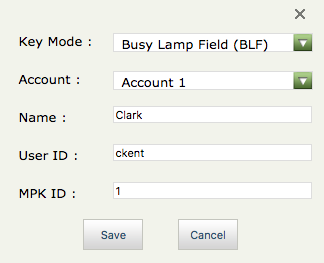 Set the Key Mode to Busy Lamp Field (BLF). Enter the user’s name as you want it displayed on your phone. Enter the username next to User ID. Navigate to Maintenance in the top menu. Click on Upgrade in the left panel. Set Automatic Upgrade to Check Every Week.